The Elementary Gifted Center is located within McKinley Elementary, therefore we follow the same procedures and expectations. The gifted students are provided a copy of these procedures at the beginning of the year. Each expectation is discussed, practiced and rewarded with a SOAR ticket when "caught" by any staff member at the school. 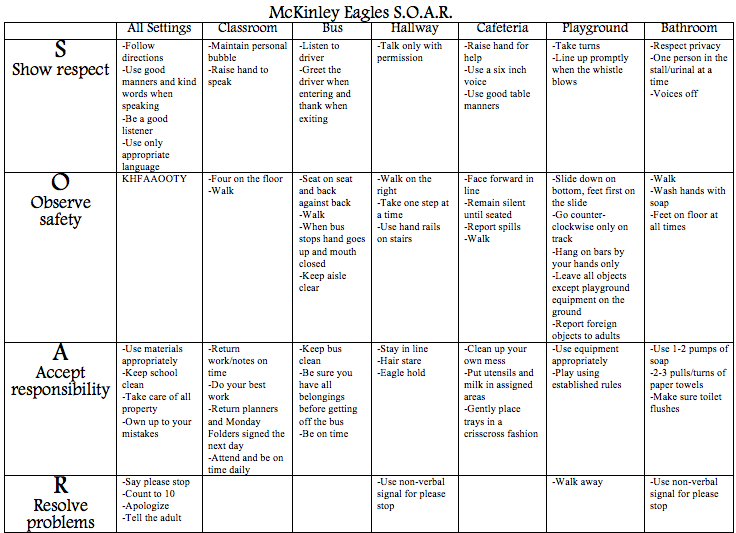 To view the SOAR procedures, click on the picture.